Used board, in great condition. Perfect to make sure you never loose your sunglasses. 6'8" x 21" x 2 1/4"
Available in ¨Princess and Spiderman design. 8'6" x 33" x 5"
Cute, stylish, brown leather sandals. Various colored and styled straps. 10'2" x 23" x 3 1/8"
Can connect to bike stem, bar end, seat tube, grips, pegs, saddle, lights, and more! Available in various colorful designs and sizes. 6'3" x 20 3/4" x 2 5/8"
10'2" x 30" x 3"
6'0" x 19 1/2" x 2 3/8"
Enjoy family day at the beach with the inflatable beach ball. Offers 100% protection for everyday wear. 9'2" x 22 1/8" x 2 15/16"
6'0" x 20" x 2 7/16"
9'1" x 33" x 5"
9'0" x 23.01" x 3.18"
With 25% Zinc Oxide, ZINKA colored nosecoat is the best total BLOCK available. Visible on your skin, Zinka nosecoat reflects sunlight, blocks out UVA & UVB rays and is water resistant. 5'11" x 19 3/4" x 2 3/8"
10'2" x 32" x 4.875"
9'2" x 23" x 3 3/8"
6'2" x 18 5/8" 2 3/8"
Cools and soothes to help prevent peeling. 8'4" x 23" x 3 3/8"
6'3" x 21 1/2" x 2"
Aloe Gator total sunblock lotion 1oz. Broke your board? got a ding? What a pitty we will fix it for you. Prices are as follows. 1 - 2 inches = $25 price may increase depending on depth. 2 - 3 inches = $30 - $40 price may increase depending on depth. 3 - 4 inches = $45 - $60 price may increase depending on depth. Upon completion of all rentals we will review the boards with you to ensure the fleet is in optimal conditions. 9'0" x 19" x 2 1/2"
Aloe Gater sport spray SPF 30 with parsol. This umbrella is perfect to protect you from the sun on a hot day! "Surfshop Tamarindo - Costa Rica"
5'11" x 20" x 2"
9'0" x 24" x 3 1/8"
6'0" x 20 1/4" x 2 7/16"
8'2" x 23" x 3 3/8"
6'3" x 53" x 2 7/8"
Fin Riviera long board regular 9"
9'2" x 22 7/8" x 3 3/16"
Subtle Memorabilia Lettering "Tamarindo, Costa Rica"
5'4" x 19" x 2 1/8"
This easy to spot flotation attachse directly to the housing backdoor to keep your GoPro afloat. Includes extra backdoors and Camera Tethers. 8'0" x 22" x 2 3/4"
6'3" x 20 1/2" x 2 3/4"
Comfortable blue and green hammok. Easy for traveling as it folds into a bag. 9'6" x 23" x 3 3/8"
6'1" x 22 7/8" x 3"
For use with no rack, round or square racks. 6'3" x 18 5/8" x 2 3/8"
5'8" x 19 3/4" x 2 3/8"
7'2" x 21" x 2 3/8"
Fits all eyewear EXCEPT goggles. Red luggage strap. 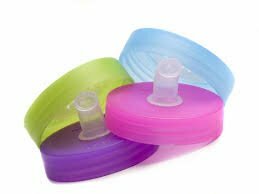 Great for keeping your stuff down while traveling. Subtle Memorabilia Lettering "Kelly"s CR, Pura Vida"
6'1" x 19 3/4" x 2 3/8"
Subtle Memorabilia Lettering "Kelly's Tamarindo, Costa Rica"
6'1" x 19 1/2" x 2 5/16"
Cute, cheeky Fiorella bikini bottoms. Great for a day at the beach! 5'10" x 20 1/4" 2 4/9"
Great for childrens day in the sun. Bring this comfortable three legged camp stool to the beach or to the campfire for extra seating. 5'10" x 18" x 2 1/16"
Good Hyouman mens muscle shirt. "Everything I need is in here"
Perfect for surfing or a day at the beach. Good Hyouman basic mens t-shirt. "The best things in life make you SWEAT"
Size small bue Fiorella rashguard full body. 7'6" x 23 1/2" x 3 5/8"
7'6" x 22" x 2 7/8"
Cute and stylish full piece is perfect for the beach! Available in many colorful styles and sizes. 8'0" x 22 1/2" x 3 1/4"
5'6" x 18 3/4" x 2 3/16"
6'0" x 19 7/8" x 2 5/16"
Purple framed SOHO sunglasses with black lenses. These are sure to keep your eyes protected while providing a stylish and chic look. Keep your childrens eyes protected with Spy Kids Sunglasses. Available in red/white, yellow, purple and light blue. "Kelly´s surf shop, Tamarindo, Costa Rica"
Subtle Memorabilia Lettering "Kelly's, Tamarindo, Costa Rica"
5'10" x 19" x 2"
7'4" x 23" x 3 3/8"
Subtle Memorabilia Lettering "Kelly"s Surf-Bike-Tours. Tamarindo, Costa Rica"
5'8" x 19 3/4" x 2 1/4"
Size large, black full body rashguard. The Super Fish II has been updated for 2012 making one of our most popular boards even better. The idea behind the Super Fish design is to offer a board that rides, paddles and catches waves easily regardless of your ability. The new bottom contour features a deep single-to-double concave providing greater speed and acceleration. The tail wings are now more defined creating bite off the bottom and quicker release through turns. The swallowtail is also shallower than before. This adds surface area under your back foot meaning more speed in flatter waves. Size large, blue crop top rash guard. Reversible to blue or green color. 9'0" x 29" x 4 1/4"
The 9'0" McTavish SUP is the highest performer in the SUP range, suited to conditions 3ft and over, right up to 8-10ft. 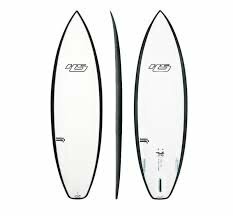 The template is narrow in the nose, like a conventional Shortboard, and features a single flyer tail template, which narrows the tail width, as well as providing a pivot point right under your feet. The rails are also just a blown-up version of a performance Shortboard rail, giving maximum control and feedback. The Quad + centre box fin set-up allows for a variety of fin configurations, to suit the riders preference. This board is for the advanced rider from 60-90KG, and light-weight intermediates. Size large pink rashguard with front zipper. 5'9" x 20 1/4" x 2 1/2"
Size medium, reversible Fiorella bikini bottoms. 5'10" x 19 1/2" x 2 3/8"
5'8" x 19 1/4" x 2 1/3"
Size medium Fiorella surf bikini top. 6'6" x 20 5/8" x 2 1/2"
5'7" x 18 5/8" x 2 1/4"
Great for a day at the beach or a day surfing! 5'11" x 21 1/4" x 2 3/4"
Size medium blue Fiorella rashguard body. 6'6" x 21.4" x 2.7"
6'3" x 21 1/2" x 2 7/8"
6'2" x 18 3/4" x 2 3/16"
Size medium, pink crop top rashguard. Perfect for a surf or a day at the beach. 7'0" x 21.4" x 2.8"
6'0" x 18 1/4" 2 1/4"
Size medium Fiorella reversible bikini bottoms. 6'6" x 20 1/8" x 2 7/16"
Size small Fiorella surf bikini top. Perfect for a day surfing and at the beach! Size medium Fiorella triangle bikini top. 5'10" x 18 1/2" x 2 1/2"
6'0" x 20" x 2.45"
Great for surfing or a day at the beach! 5'10" x 19.5" x 2.4"
Best used as all-around shortboard for above average surf. Single concave throughout means the "Pura Vida" works best when on rail. A fairly aggressive tail curve allows for tight radius turns. Ride this board your same height to 3″ longer than you are tall. Very cute and great for a day at the beach. 6'4" x 18 1/4" 2 1/4"
Size small triangle Fiorella bikini top. 6'0" x 21 5/8" x 3 1/8"
Size small Fiorella bikini top. 9'2" x 24" x 4"
6'2" x 18 1/2" x 2 1/4"
5'10" x 20 1/4" x 2 5/8"
6'8" x 21" x 2 7/8"
Size small Fiorella rashguard full body. 6'0" x 20 1/2" x 2 3/4"
6'2" x 19 3/4" x 4 1/2"
6'4" x 20 1/4" x 2 5/8"
This is a local board, designed and shaped in town, by the owner and Robert August. 9'1" x 22 3/4" x 2 3/4"
8'6" x 22 5/8" x 3"
7'0" x 21 7/16" x 2 1/2"
7'10" x 22 1/16" x 3 1/16"
7'4" x 22 3/8" x 2 5/8"
Perfect for a beginners surf lesson. 5'6" x 18.8" x 2.35"
6'8" x 19 1/2" x 2 7/16"
8'6" x 22" x 2 3/4"
9'0" x 23 1/4" x 3"